With rich leather on the outside and faux fur on the inside, these Seychelles booties prove cold-weather footwear can look fabulous and keep tootsies toasty. 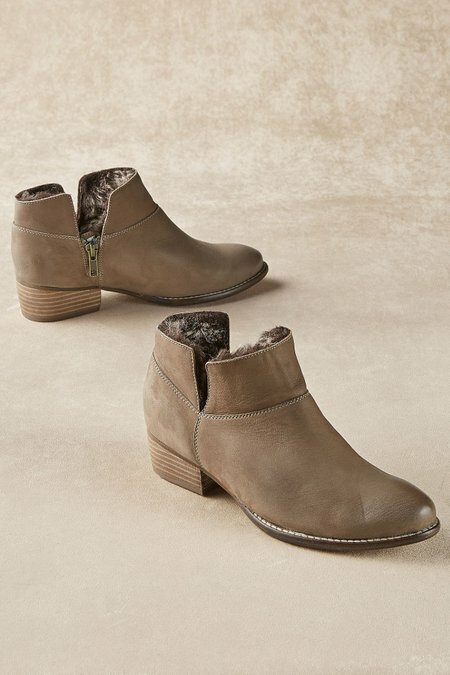 Crafted in neutral taupe or shimmery metallic pewter, both have an almond toe, stacked wood heel, split collar, side zip and a synthetic sole. You'll count on this classic, all-occasion style. 1-1/2" heel.